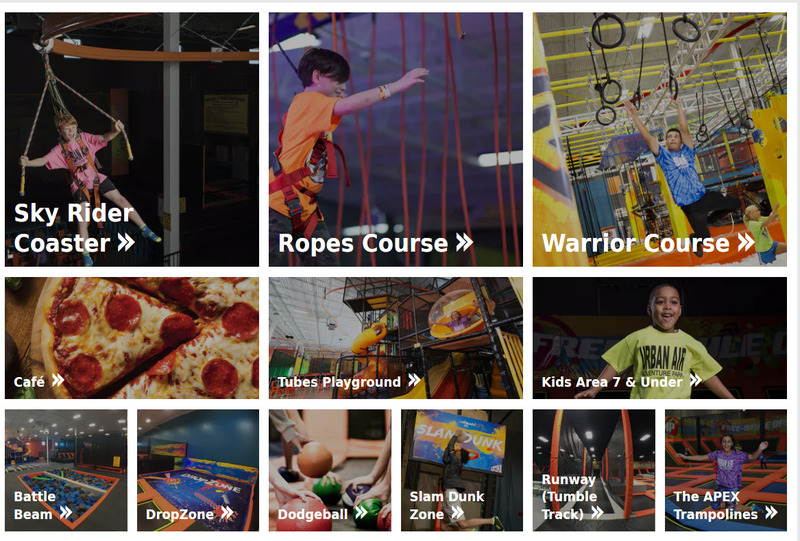 Trampolines, Dodgeball, Ninja Warrior Course, Zip Line and Ropes Course, OH MY! Price: $17.50 - All-access from 6 -11 PM, socks and food. If you have BCO credits, please don't use them this time! Thank you! This event is offered to the public every Friday night, but if you register and prepay, we get special pricing (because the event leader is the special events coordinator there). Normal price if you want to just go only your own is $24.99 and $2.50 socks. Group discount is $17.50 total! The event will be canceled, you will be refunded if no confirmed and paid registrations are present. Check-in and pay at the desk for standard prices and admission. Event Summary: Trampolines, Dodgeball, Ninja Warrior Course, Zip Line and Ropes Course!